The Mets stink. Everybody knows it, no secret there. There isn’t really too much to talk about with regards to the 2009 season. 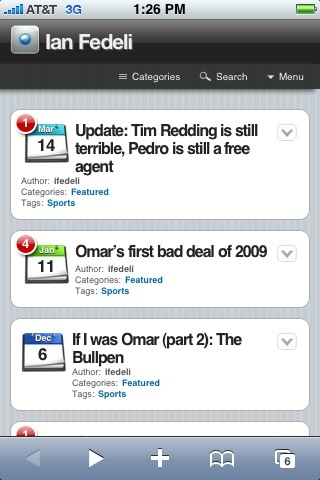 Hopefully Omar is going to manage to sell off some piece to some desperate team. He probably won’t. Maybe we can start talking about next season soon, but I’ll leave that to a subsequent post. 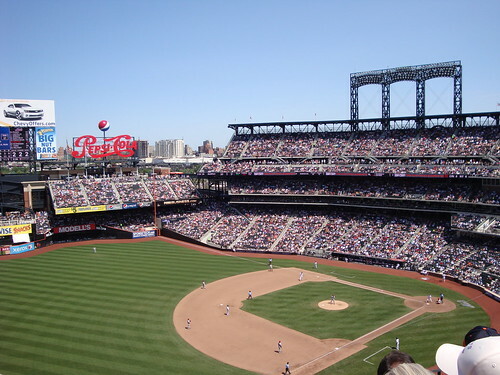 This post is devoted to talking about one of the few bright spots of 2009: the unveiling of shiny new Citi Field. I think, at least for now, shiny is the best word to describe Citi Field. Coming from ancient Shea (which they apparently really let go at the end of 2008), Citi is clean, modern, and attractive. The urinals look like escape pods from a space faring vessel of some sort (would have taken a picture, but, you know…). The concourses are open and airy and allow a view of the field even from the line for hot dogs. Citi is like all of the modern ball fields I have been to (Coors, PNC, Minute Maid, Safeco): the marketing word is “intimate”. Some have said this is just a sneaky way to be able to reduce supply and raise ticket prices, but that doesn’t make sense to me. Why not just raise ticket prices? Wouldn’t they make more money if they had more mouths to fill with hot dogs? I think there is something to be said for the experience at these new ballparks. Every seat is a good seat, even the “cheap” seats ($30 doesn’t really qualify as cheap in the real world). You aren’t craning your neck to see the plate, you aren’t staring at the back of the head of the person in front of you, you aren’t a thousand feet in the air, and you don’t need binoculars to read the numbers on the back of the jerseys. These are all good things. I think (hope) that most fans could care less about the waiters and the sushi and the indoor dining options and the fun zones for kids and the multilevel team stores, but they are there and they don’t really detract from the game except that those “customers” could be replaced by people who, you know, care about the Baseball game. The one Major League failure that Wilpon and Co. have made with Citi field is that they barely indicate what team plays there. There is a sign that says “Mets” on the scoreboard, a list of championship years and the old apple by the center field entrance, and a few old pictures of Mets greats from the past on the outside of the stadium in left field. That is it. I am not exaggerating. I had read about people being upset by this, and I thought it was silly, but when I actually visited myself I was shocked. How could they have been so dismissive of Mets history? There ought to be a Tom Seaver baseball here, a Mike Piazza baseball bat there, pictures of the ’86 team jumping up and down at home plate after game six. I actually felt offended walking around, looking for something Metsy to look at, and coming up empty. Um, what? Who plays here again? What really pissed me off was the level of homage paid to the Dodgers, who as you may recall are a current Major League team who the Mets play nine times a year. 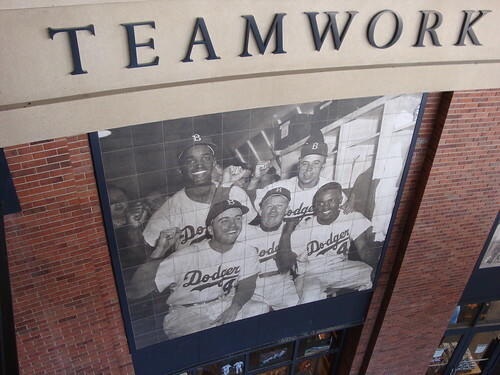 I don’t have a problem with the stadium design taking inspiration from Ebbets Field. The Mets franchise was built on filling the void left by the departure of the Dodgers and Giants. Mets blue IS Dodger blue. 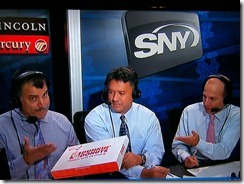 But they take it way too far at Citi Field. 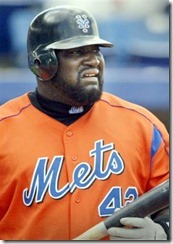 Jackie Robinson was a great man, but his rotunda does not belong at a Mets ballpark. Period. Put it in a museum, put it in LA, put it anywhere else. It is offensive to me, as a devoted Mets fan, to stand in the Jackie Robinson rotunda. Is Fred Wilpon even a Mets fan? After seeing the rotunda, I felt betrayed. Architecturally, the rotunda is a beautiful space. The light spilling in during a daygame is as close to breathtaking as a ballpark is going to get. But the entire atmosphere is ruined by a stupid six foot tall plastic 42, looping videos of Dodger players (mixed in with gag-worthy praise for the rotunda from the Robinson family), and a complete lack of respect for the Mets franchise and tradition. 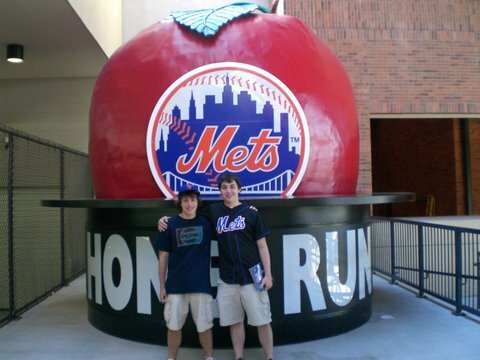 Being a Mets fan, being an underdog in your own town, is about taking abuse. Usually the abuse comes from management (see the Seaver trade, the Kazmir trade, the Cone trade, etc) and from Yankee fans. I guess there is no reason to expect any different from ownership. Oh well. Let's go Mets! Yeah, it’s a month into the season. And I don’t know anything about American League baseball. But what use is it being a guy with a blog if I can’t make proclamations about things I know nothing about? The AL East has three teams which will contend, both in the division and for the pennant. Tampa Bay proved it was the best team in the league last year, and they return all of their key players, a year older and wiser, plus a full year of David Price once they call him up. They have budding stars at multiple positions. They now have some playoff experience, and pretty much everybody is healthy. And I didn’t pick them. I just like the Red Sox too much. They have the reigning AL MVP in Dustin Pedroia, and he isn’t the best hitter on the right side of the Red Sox infield. 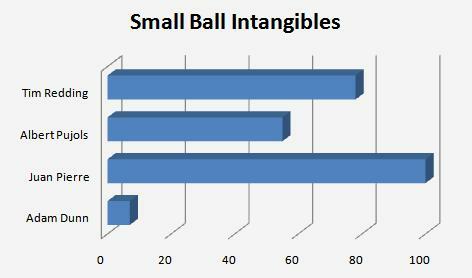 They have solid talent in the outfield, including a great low-risk/high-reward signing of Rocco Baldelli. Their pitching is the key. Josh Beckett is great when he’s healthy, and Daisuke Matsuzaka was the second best pitcher in the AL last season. Jon Lester was the fourth best pitcher in the league last year, and most people don’t even think he’s reached his full potential yet. I’m not picking the Yankees for the division, and I don’t think they will win the wild card either. I don’t like AJ Burnett, and Andy Pettitte is a year older. Mark Teixeira is a great signing, but they are still saddled with a bunch of aging former stars, including the worst defensive shortstop in all of baseball (maybe you’ve heard of him). This post only gets worse from here. I really have no idea what I’m talking about. But, for you, I’ll forge on. I picked the Twins for two reasons. 1. I like Ron Gardenhire. Every year he seems to have nothing to work with, and then he wins the division. I really don’t know how he does it. 2. At least looking at the numbers, they have a young and deep rotation. I honestly don’t think the Twins are great, but I don’t think the rest of the division is great either. The Indians and the Tigers both seem to have tons of talent, but not be able to pull it together. But I think really it comes down to pitching. Outside of Cliff Lee, who completely lost his mind last year and decided to be amazing, the Indians didn’t really pitch well. Nobody else pitched more than 130 innings, and nobody else was better than league average. The Tigers had fewer people shuffle through their rotation, but none of them were very good. Justin Verlander and Nate Robertson really struggled last year, and without those guys they aren’t going to win games. I couldn’t in good conscience pick the Royals, because, well, they are the Royals. However, it is worth going over how ridiculously good Zack Greinke has been this year. 6 starts, 45 IP, 3 CG, 2 shutouts, 54 K, 8 BB, and to top it off, an ERA+ of 1156. That is not a typo. Also, Zack is his middle name. His real name is Donald. NOW YOU KNOW. The White Sox won the division last year, and they have essentially the same team. But they are so boring. Too many words on them already. Los Angeles got a whole lot worse, losing Francisco Rodriguez and Mark Teixeira. Statistically, they overperformed by a ton. Their Pythagorean record last year was 88-74, but they somehow managed to win 100 games. The Red Sox proved they weren’t as good as their record by swiftly ending their season in the first round. Seattle was terrible last year, and they won’t be any better. The Rangers never seem to have any pitching. A good rule of thumb: If Kris Benson is in your rotation, you are a bad team. That leaves Oakland. This is the smallest division in baseball, as well as one of the weakest. Oakland made a few moves to supplement their young players, bringing back Jason Giambi and bringing in Orlando Cabrera and Matt Holliday. Two fifths of their rotation is younger than I am. If a few of them do well, I think they win this division. Billy Beane has showed his hand a bit, bringing in Matt Holliday while knowing he can’t resign him. If they are in the hunt in July, I wouldn’t be suprised if they made a move to enable them to make a run this year. 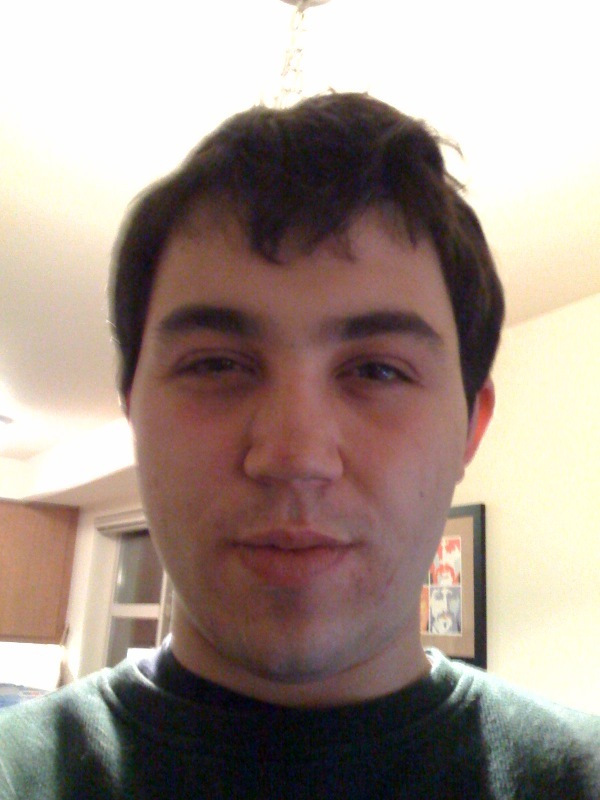 I figured I’d get the obvious one out of the way first. I say it’s obvious not because the Mets are good, but because any pretense of impartiality would be absurd. The NL East is, in my estimation, one of two divisions in baseball in which four different teams could win it. The Nationals are run by idiots, don’t spend money on players, and have one of the worst farm systems in baseball – their season is already over. The Marlins have loads of young talent, and if it all comes together at the same time (like it did for them in 1997 and 2003) they can beat anyone. However, I think an 85 win season is more likely. The Braves are improved over last year, and I relearned the painful lesson every year for my entire childhood that the Braves shouldn’t be counted out. They got Derek Lowe, and kept him from the Mets, and have enough bright spots from last year to put it all together in Bobby Cox’s irritating tradition. The Phillies had a great year last year and return essentially the same team in 2009. However, I think it is fair to expect their bullpen to regress toward the mean this year, and the possibility that Cole Hamels gets Verduccied looms over their season. Much to my chagrin, the Mets did not seize any of the myriad opportunities this offseason presented to upgrade the rotation. Omar does deserve credit for taking the Met’s biggest weakness last year (everyone in the bullpen not named Bill), and turning it into a strength with the additions of Fransisco Rodriguez, Joseph Jason Putz, and Sean Green. It’s easy to forget the Mets won 89 games last year, and I expect more in 2009. Only the Angels won their division last season by a wider margin, and the Cubs don’t figure to have much competition this year either. 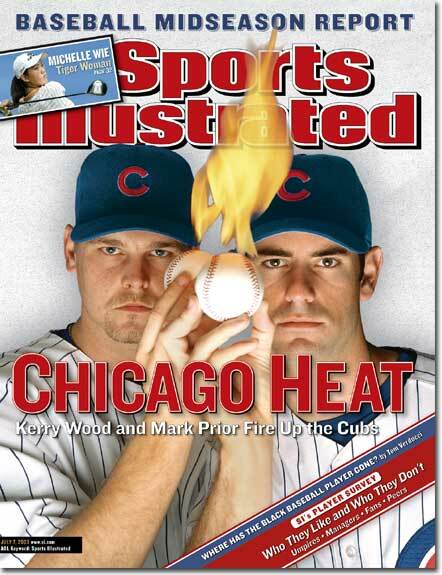 They lost starter-turned-closer Kerry Wood, but gained last year’s MLB leader in OPS, Milton Bradley. I actually liked the Mark DeRosa trade, as I thought Chicago sold high on an overvalued player. If the Cubs stay healthy, they will run away with this division. The Brewers got alot worse when they lost C.C. Sabathia. The Astros, Cardinals, and Reds have a shot at the division if it everything comes together, but in terms of personnel they all essentially tread water. We should all be amazed by the most consistent team in all the land: the unflappable Pittsburgh Pirates. In baseball, consistency is key, and the Bucs have delivered a losing season for 16 years in a row. One might imagine that through some freak accident, some wild luck, some once-in-a-decade anomaly the Pirates would win 82 games. But no. I think I may be in the minority on this one, but I just don’t see the Dodgers winning this division. I think the loss of Derek Lowe will hurt much more than people think it will. Not to mention Brad Penny, Joe Beimel, Takashi Saito, and others. Their rotation simply got worse. I Love (with a capital L) Johnathan Broxton at the end of the game, but I don’t think that is going to make up for the shakiness at the beginning beyond boy-wonders Chad Billingsly and Clayton Kershaw. Some people are picking the Giants this year. To me, this is a funny, funny joke. Their number 3 hitter, Pablo Sandoval, is 3 months younger than I am. Their cleanup hitter is Bengie Molina, who has been consistently a below league average hitter his entire career. I know Mike Piazza, and you, sir, are no Mike Piazza. Have you ever heard of number 5 hitter Fred Lewis? No, you haven’t. Don’t feel bad — nobody has. He played in 133 games last year, the most of his young career, and was a league average hitter. For comparison, the Mets have Carlos Beltran batting 5th, the Cubs have Aramis Ramirez, the Phillies have Raul Ibanez. Randy Johnson is 45, Barry Zito is still terrible, Tim Lincecum and his 5’11 160 pound frame are a leading candidate to get Verduccied after increasing his innings total by 81 last year. I don’t see this team as a playoff team. The Rockies took a step back, losing slugger Matt Holiday, closer Brian Fuentes, and ace Jeff Francis (for the year, injury). The Diamondbacks didn’t really add too many big pieces this offseason (Jon Garland), and they lost some big ones (Randy Johnson, Orlando Hudson, Adam Dunn). But I’m still picking them. Why? Pitching. I love Brandon Webb and Dan Haren. Jon Garland and Doug Davis aren’t great, but they could be good. The key to their season, I think, will be Max Scherzer. Scherzer pitched an outstanding 56 innings last season, compiling a 3.04 ERA. I would not be surprised to see even better results this year from Max and his 98 mph fastball. Combined with Webb and Haren, that would be a diverse and devastating front of the rotation. If the Diamondbacks get a decent showing from their young position players (Chris Young, Stephen Drew, Conor Jackson, Justin Upton), who are all a year older, I think they will be the class of the division. Stay tuned for American League predictions.